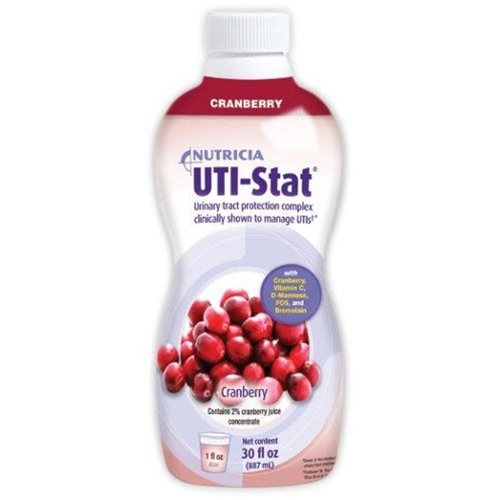 UTI-Stat is a liquid supplement that is used for the management of urinary tract infections and for urinary tract health. UTI-Stat Liquid is clinically shown in two studies to manage urinary tract infections. 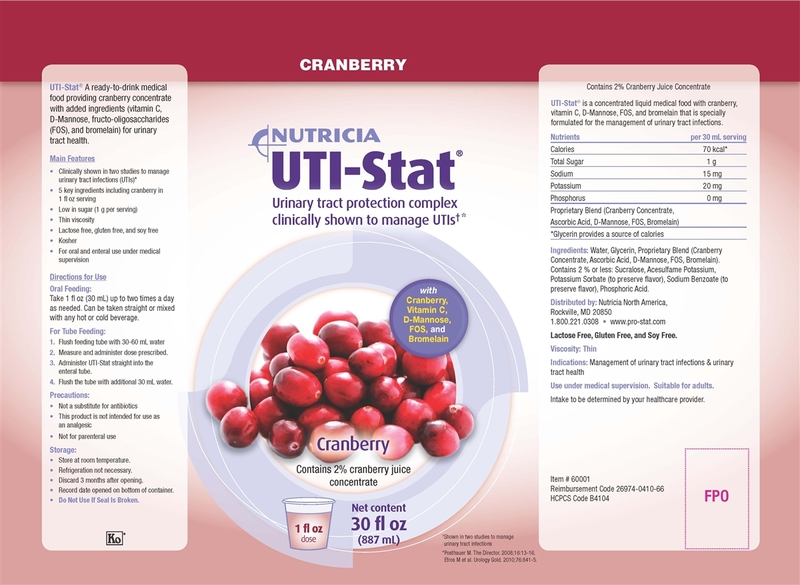 UTI-Stat features Proantinox which is a proprietary blend of cranberry concentrate, ascorbic acid, D-Mannose, FOS (Inulin), and Bromelain. It has a thin viscosity. UTI Stat is lactose free, gluten free, soy free, and Kosher. Cranberry flavor. One 30oz bottle. :: Ingredients: Water, Glycerin, Proprietary Blend (Cranberry Concentrate, Ascorbic Acid, D-Mannose, FOS, Bromelain). Contains 2 % or less: Sucralose, Acesulfame Potassium, Potassium Sorbate (to preserve flavor), Sodium Benzoate (to preserve flavor), Phosphoric Acid.